I have been told that they look black - unless you shine a flashlight directly on them or the sunlight is directly shining on them - then they look dark brown. Yep... they do look petty black in the right (wrong) light. They do. The early ones had a purplish hue to it - not sure if more recent ones do. Since there is literally nowhere to actually see these or hear these. Polk's "marketing team" is just content with "marketing" them through ridiculous Adorama deals that I'd be surprised if they were breaking even on. I "think" the LSiM is due for a replacement. Which might put the pricing in perspective. Yeah, we've had that theory for some time, that the line is being discontinued and/or replaced. Hard to say for sure what they're planning. I think instead of creating a new line, they'll just refer people to Def Tech speakers. Better to make some money on them, then just taking up space in a warehouse that is costing them big money for just sitting there. Nope, most of it was covered anyway. If I did spill it that would run the risk of Polk not giving any more tours. I am not going to be that guy who blew it for all. If I had the cash, space and need I would jump on the LSiM deals, great speaker for that cost. Are you implying they are dropping the LSiM line? Doubtful they would drop it, Polk has always had one series that could be considered high end even if it doesn't make them a ton of money. They might do a refresh for the line at some point. But again I wouldn't expect for it to be too soon, since the LSIMs aren't that old. Either that or replacing them with a newer version. I don't consider those old speakers, I think they will do a refresh on them. it was made very clear by Polk employees on this forum when the s-series was released that polk is moving to a streamlined line, consisting of good, better, best. But what would they sound like? Yup that is what it looks like. good business to streamline. Pretty much what all the car manufacturers do. Makes for an efficient business model. I don’t know, but I wonder if they’ll keep the same tweeters. Some people love them but I think they are a turn off for at least as many people. Interesting - every single LSiM speaker on Polk's website is listed to be "On backorder". Interesting indeed. I’m hopeful for a true full range speaker. 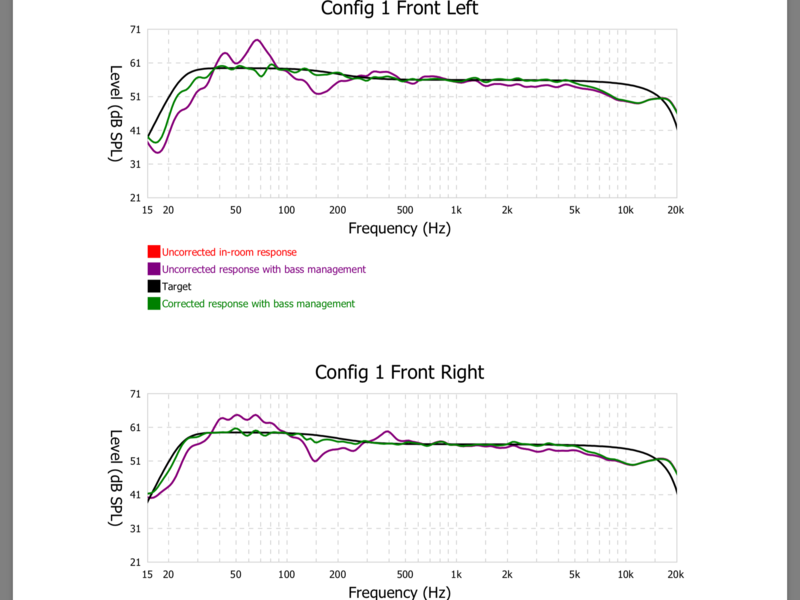 I measured in room response of my LSiM 707 with ARC and it rolls off below 29Hz. Not terrible but not truly full range. I’m not allergic to subs for music but would prefer not to use them. Overall I’m very happy with them. Ur not gonna get a truly full range, stereophile class A speaker from polk. U have to either a) used powered subs (which they are going to let their sister company def tech take care of) or b) spend a lot of money on drivers, cabinet, bracing crossover, etc. or c) make them gigantic. An SVS SB-2000 is not very large but yet can go down to a claimed 19Hz. You had thing had me thinking I don’t believe Polk has used a 12” driver for any non-subwoofer speaker application. Anyway this was a tangent thinking Polk could do their version of a Legacy Audio speaker... doubt it. So they recently released the Signature series of American Hi-Fi but they have not yet worked their way up to the SRT. I’d be more interested in the modern rendition of the SR minus the T. Next up Polk Audio Signature Reference. I have the S60, they do very good in the low end. Last year when we had my son grad party I was demoing them to a friend, turned the sub off. I left the sub off the rest of the night with the kids hip hop playing. Low end is impressive for a modern speaker. One thing I've noticed over the last 20 or so years. Subwoofers are now so common speakers are more designed to work well above the sub range. The LSIM line has been an issue for Polk from the get go. They don't sell at the retail price and when compared to speakers in the same price range, well thats a tough segment of the market where the big boys start to play. It's going back a long time now, but a representative from Polk made it pretty clear they are not directly replacing the LSIM line. Something that more of a bridge between the RTiA and LSIM lines.